The Chevrolet Volt may hold the title of best-selling plug-in hybrid on the road today, but it hasn’t exactly lived up to its lofty expectations. General Motors expected to sell 10,000 Volts in 2011, but only 7,671 models rolled off Chevrolet lots that year. In 2012, GM execs were hoping to build momentum with a 60,000-unit sales goal, but, yet again, only a small fraction of that (23,461) ended up in customer’s driveways. 2013 and 2014 followed a similar disappointing trend, with price cuts, halted production, overstocked dealerships, and fierce competition from the Toyota Prius and Nissan Leaf preventing the Volt from gaining the traction it expected to have. In fact, through July, Volt sales are already down 9 percent from last year. That doesn’t mean GM is giving up, though. The American automaker has officially announced the production of the next-generation Volt at its Detroit/Hamtramck assembly plant. The hybrid will debut at the 2015 North American International Auto Show in January. Not a whole lot is known about the new car yet, but Automotive News is reporting that the next-gen Volt will add a third rear seat and downsize the 1.4-liter four-cylinder to a more fuel-efficient, 1.0-liter three-pot. 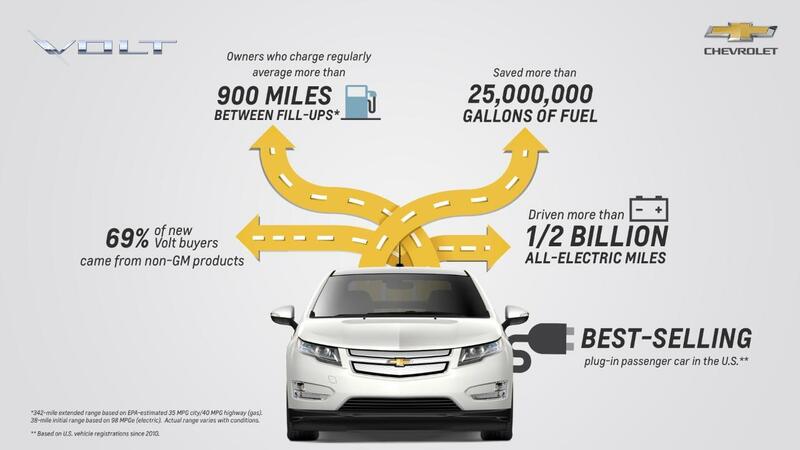 Currently, Chevrolet rates the average range of the Volt at about 970 miles, so it will be interesting to see whether or not the new powertrain layout is focused more extending the Volt’s impressive range or value. The current Volt, which costs $26,670 after tax credit, is significantly more costly than the Nissan Leaf ($21,510) and the Toyota Prius ($24,200). Two more Lego movies in the works for Warner Bros.